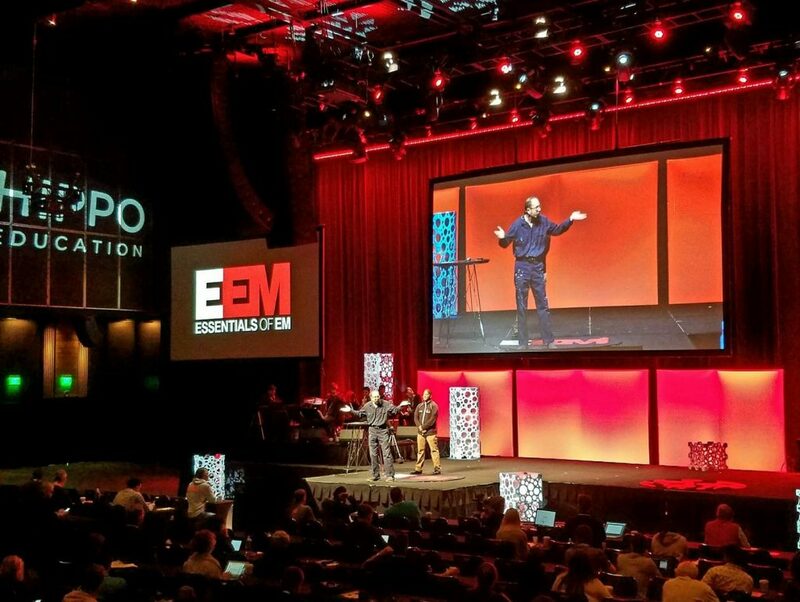 Tom was the artist in residence for HIPPO Education’s EEM (Essentials In Emergency Medicine) Conference at the Cosmopolitan Hotel in Las Vegas, May 16 – 18, 2017. He painted a 63 x 72″ custom painting entitled, Accidents Will Happen over the 3-day conference. 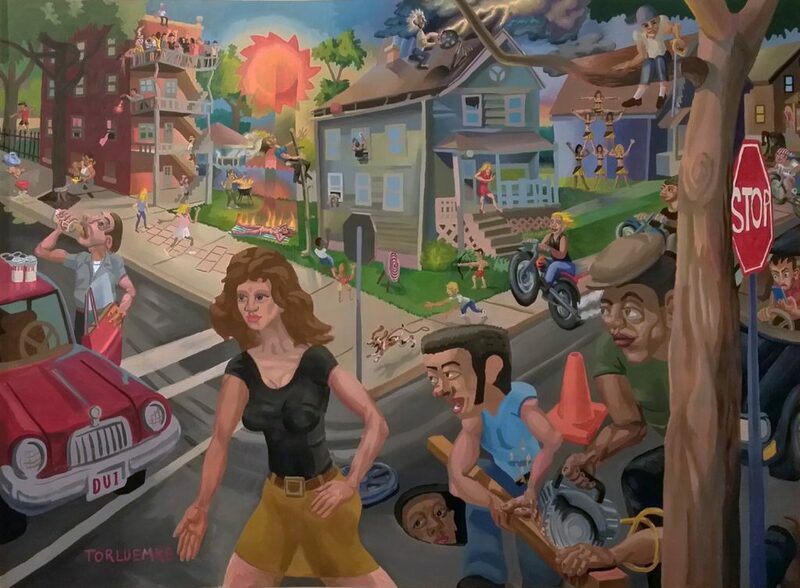 The painting features many possible scenarios that land people in the emergency room. The residency was capped off with Tom doing a short talk to attendees on the Chelsea Theater stage. Here is what the organizers had to say about Tom’s residency. Tom Torluemke was an incredible addition to our 3 day event in Las Vegas. His lively personality and unique artistic vision were a perfect fit for our event’s own distinct personality. Essentials of EM is in it’s 16th year and Tom was our third artist-in-residence and was by far the most successful in terms of interactions with the attendees and overall impact on the experience. Tom “went for it” in a big way and was able to create for us a wonderful thematic and beautifully meaningful painting in a short amount of time. We could not be happier with the end result. This painting “Accidents Happen” will have a prominent place of honor in our offices and allow the entire company to relive fond memories of it’s creation. On top of all that Tom brought so many of his amazing watercolor’s to share with attendees that the space came alive with creative energy. From our initial meeting to the final goodbyes Tom and Linda were part of the EEM family and will remain so far into the future. 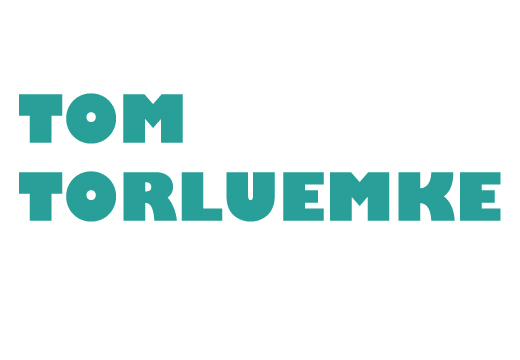 I would not hesitate to recommend Tom and Linda and hope to have them back at future EEM conferences.